They were both English-language exact-keyword-match .com domains. It looked good to me. Just for kicks and vanity, I submitted AndroidDebugging.com to Flippa’s crowd-powered estimation forum. You can amuse yourself with the results here. While a few Flippa users made earnest stabs that fell close to our Estibot and GoDaddy appraisals, e.g. the $60-90 range, the majority of participants tossed out four-or-five figure numbers, with $10,000 capping things off. We were…flattered, I guess, by the enthusiasm. Just one lay-appraiser voiced the con I was worried about. I was aware trademark issues would limit the potential uses of the domain to only those that could be considered “fair use” of the Android brand name. After a $9 listing fee and another $9 for “promotion” (Bold listing title? Heck, yeah, I want it bold), the auction went live. And dormant. For 14 days. With two hours to go on Day Zero, our first bid came in. One crisp and green US dollar! Well, one digital and insubstantial PayPal dollar–or, more accurately, since it cost eighteen to list, negative seventeen dollars. But, hey, it felt good to have a bid. 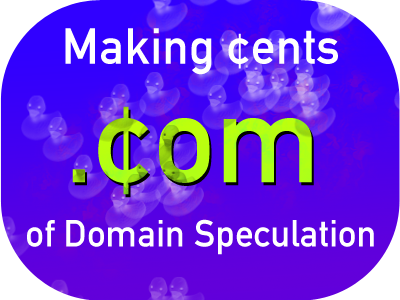 Watch our current and upcoming domain name auctions!